Do You Have Broken Appliances? Give Us a Call! If you have appliances that are not performing up to your standards, you need repair services—and you need them fast. That is why you should not hesitate to get the help that you need from the professionals from Mr. Appliance® of Hampton VA. Regardless of the type or brand of appliance that is broken, you can rely on our experienced repair specialists to fix it—and fix it fast. We know just how much you rely on your kitchen and laundry room appliances; we are dedicated to whipping them back into shape. 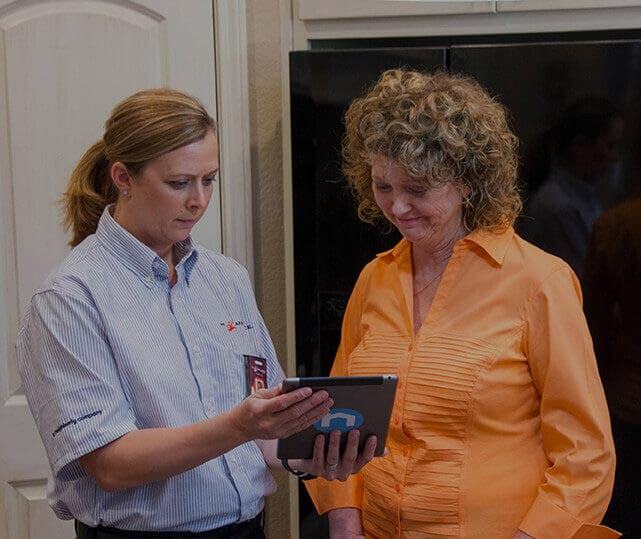 Who you choose to come to your home and fix your appliances makes all of the difference. That is why you should not hesitate to get the help that you need from us. For starters, we work the hours that are best for you; if morning calls or afternoon repairs are what you need, we can accommodate that in our schedule. We also know that your time is valuable to you—that is why we always arrive promptly. We are quick, pay attention to all of the little details, and are efficient. We stock replacement parts to make repairs as quick as convenient as we can. We offer economical maintenance services to help avoid future appliance issues. We provide accurate price quotes at the beginning of service to avoid surprise bills. We let our customers pay us by the job instead of forcing them to pay by the hour. We are committed to ensuring that homes are left in better shape than when we arrived.